PESHAWAR: The Chief Commissioner, Khyber Pakhtunkhwa Right to Information Commission (RTIC), Azmat Hanif Orakzai, addressed the Public Information Officers (PIOs) of Peshawar district on Tuesday. He said the Khyber Pakhtunkhwa RTI law was a flagship initiative of the Khyber Pakhtunkhwa government aimed at promoting transparency and accountability in the functioning of public bodies. 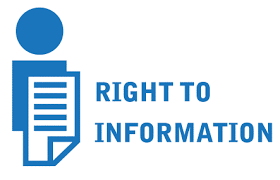 Ever since the enactment of the RTI law, thousands of citizens have been able to exercise constitutional right of accessing information of public importance in line with the sustainable development goals, added the official. The session was to train the PIOs in the use of the electronic right to information (e-RTI) webportal developed by the RTI Commission with the help of the IT Department/Board of Khyber Pakhtunkhwa Government. The chief commissioner added that as part of the e-governance initiative of the provincial government, the commission was gradually moving towards digitalization of the RTI processes for the efficient disposal of citizens RTI requests. The participants were provided details like lists of PIOs, username, user guide and video tutorial links for better understanding of the e-RTI system. Out of the total 160 PIOs of district Peshawar, around 90 have been fully trained whereas a third training session will be arranged for the remaining 70 PIOs shortly.